Dr. Greg Dugas completed his Doctor of Dental Surgery degree at the University of Toronto where he was the recipient of several awards and scholarships. Following graduation, Dr. Dugas entered a hospital-based residency program at Harvard University where he gained valuable experience in treating complex cases involving trauma and jaw surgery. Upon completion of his residency, Dr. Dugas accepted a part-time teaching position at Harvard and entered into private practice in Cape Cod, Massachusetts. 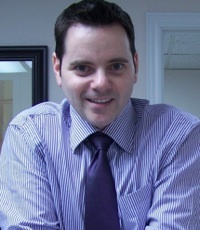 His passion for orthodontics later brought him back to the University of Toronto where he subsequently obtained his Master’s degree in orthodontics. Dr. Dugas is a Fellow of the Royal College of Dentists of Canada and an active member of the Canadian and the American Associations of Orthodontists, the American Cleft Palate-Craniofacial Association, the Ontario Dental Association and the Ontario Association of Orthodontists. He currently maintains a part-time teaching position at the University of Toronto, Department of Undergraduate Orthodontics. Dr. Dugas is committed to helping his patients achieve beautiful, healthy smiles at any age. Please feel free to contact our office to schedule your complimentary consultation today!